People often confuse the term soulmate with the twinflame or twin soul, but they are not the same thing. 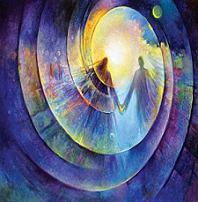 Soulmates are key relationships that we experience within this lifetime and previous/parallel lifetimes. We have many soulmates which are part of our soul group. There are several types of Soulmates which can include friendships, family, children and romantic partners. A brief and meaingful encounter with a stranger can even be a soulmate that is part of your soul group that is showing up at the right time and right place. The Twinflame is the explosion of energy that originated from the Fire/Spirit of the Creator, where Soulmate is the generator energy, that is the difference. Both the soulmate and the twinflame relationships have intense energies and these souls will impact your life in some meaningful way. Soulmate relationships can often be short-term while the Twinflame relationship can last a lifetime and beyond. You have many Soulmates, but you only have one Twinflame. You are always connected to your twinflame and have been since the very beginning when you were both created. The twinflame is often referred to as 'the other half of your soul' but your twinflame has its own unique soul vibration just as you do and is not 'half of a soul'. 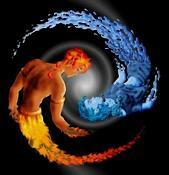 The twinflame is your other half 'energetically' speaking. Your twinflame and you both share the same over-soul that was created in the beginning as an adrogonous soul containing both the masculine and feminine polarities. This one soul became divided into two distinct energies or individual souls, one with the male essence and the other with the female essence. It is rare for the Twinflames to both be incarnated into the physical dimension simultaneously, but this is happening more frequently as the consciousness of humanity expands. Usually one twinflame is in the spirit world and may even act as a guide to their other energetic half if the other is incarnated into the physical dimension. Twinflames that are both incarnate on the physical plane and come together at this time are doing so according to the Divine Plan. This reunion is a high calling and much inner spiritual work must be completed before a harmonious relationship can be established with the Twinflame. 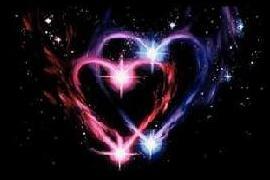 Twinflames are being commisionned at this time to assist with the planetary ascension on the planet. You are always connected to your twinflame even if they are not incarnated in the physical. You can never be separated completely from your twinflame. In essence, the twinflame connection is not meant to be idealized or romanticized. It is not about bursts of lustful passions or flowers and candy. It is a Sacred connection that is based on Divine Love which is connected to Source Energy, or God. It is a holy union and the alchemical marriage. The twinflame connection truly transcends the physical dimension. If you are destined to meet your twinflame the experience will be quite profound. There is a complete and unshalable recognition of the twin soul when it occurs. The attraction and communion that each of you share will be undeniable, unbreakable and unconditional. The twinflame relationship is definitely not without conflict or issue, but any negativity between the twin souls can usually be resolved quickly as unconditional love, acceptance and forgivness is the foundation of this relationship. The Twinflame connection is a spiritual relationship that usually goes beyond any definition of a traditional physical relationships on earth. It is the purpose of both twin souls to spend their lives together if they do meet on earth and are ready for the experience. Once a person encounters their true twin soul they will never quite be the same again. Even if a romantic relationship is not possible, the two will always be connected in some form, as they always were from the beginning. The twin soul connection is the most significant relationship we can experience, but this does not diminish the importance and benefits of the soulmate connection. The soulmate relationships allow us to prepare spiritually for the twinflame union and they give us the opportunities to learn, grow and to resolve karma. Marriages between soulmates as oppose to twinflames can be beautiful experiences leading to joy and fufillment and a soulmate can truly be the love of a lifetime. Relationships with the Twinflame can often be extremely challenging as any karma or energies present between you, whether negative or positive, will be amplified unless the personal and spiritual work is being done by both twins in order to keep the connection harmonious and free from ego, and to serve the will of the Divine Creator, as this is their calling on earth at this time. If the Twinflame relationship endures it can truly be a rewarding experience on all levels.